could be using to sew or shop for fabric. Also, what exactly needs maintenance? If you have to ask yourself this question, the answer is probably all of it. Here’s a quick list of maintenance items I perform. 1. If it can be changed, change it. Machine needles and rotary cutter blades. Most of these items are relatively inexpensive. I’m cheap so I cling to a cutter blade until it’s no longer even circular in shape. Replacing them can make a huge difference. All of sudden it doesn’t feel like I’m dragging nails over a chalkboard when I cut fabric. I realize I’m wasting time trying to use stuff that no longer works, and I’m potentially damaging my project. So, I’ve become better about changing things when they need it. I like to evaluate the sharpness of my tools after one or two projects. 2. If it can be reached, dust it. 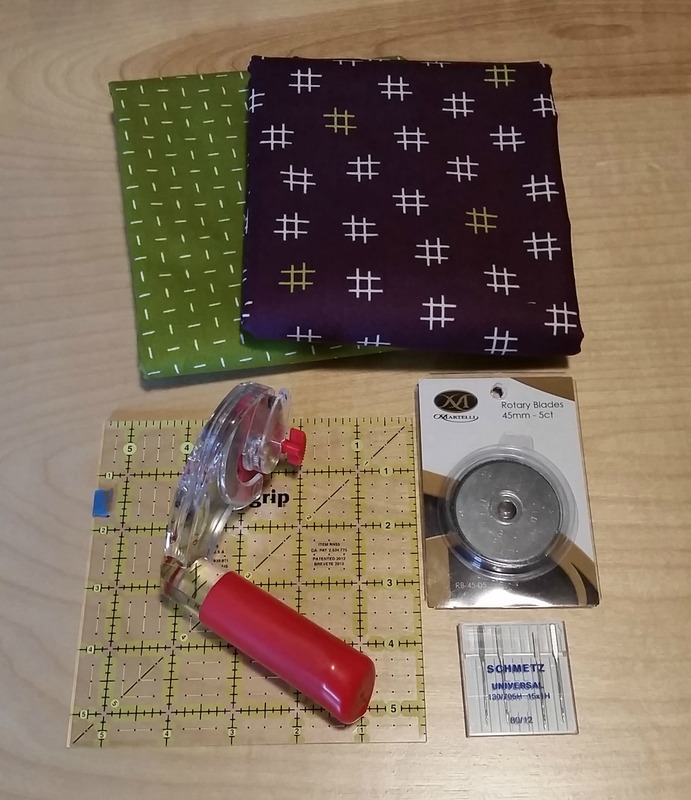 The bobbin case, cutting mat, rulers, sewing table and fabric shelves. Come on, admit it. You’ve removed the components of your machine to get under the bobbin case and discovered Sasquatch’s cousin living in there. It’s sort of funny for three seconds until I think about the damage it could be causing to my current project or permanently to my machine. Even simple things like my cutting mat, rulers and fabric shelves need a good cleaning to extend their life too. 3. If sunlight can reach it, evaluate its placement. I have a window in my primary sewing space and while sunlight can’t directly reach the entire room, it reaches enough that if I leave something sitting for too long, it may become discolored. And if you’re like me, your sewing isn’t limited to one space. I like to think my entire house is my sewing room but the other occupants of the home don’t agree. Regardless, my supplies end up everywhere, sometimes for extended periods of time. Sunlight or other light sources can do harm if supplies just sit there. 4. If it can be found, document it. I’ll admit that even though I’m a fabric hoarder - I just like having fabric in my presence – I get annoyed when I’m almost done with a project and then unearth a really cool piece of fabric that would have been perfect in it. Keeping an inventory of fabrics (yardage, pre-cuts and scraps), UFOs, supplies and other quilting resources saves me a bunch of time, money and frustration. 5. If it looks scarce, replenish it. What's your #1 quilting maintenance tip?